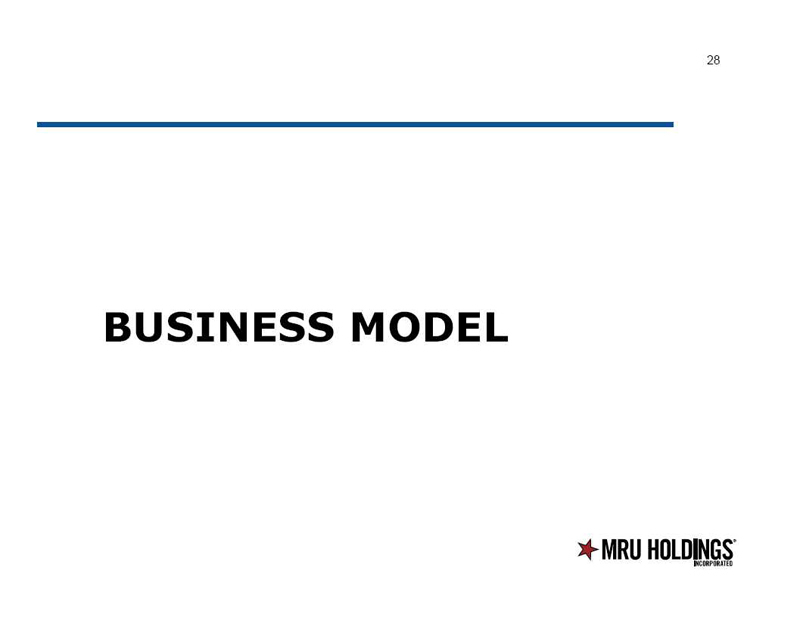 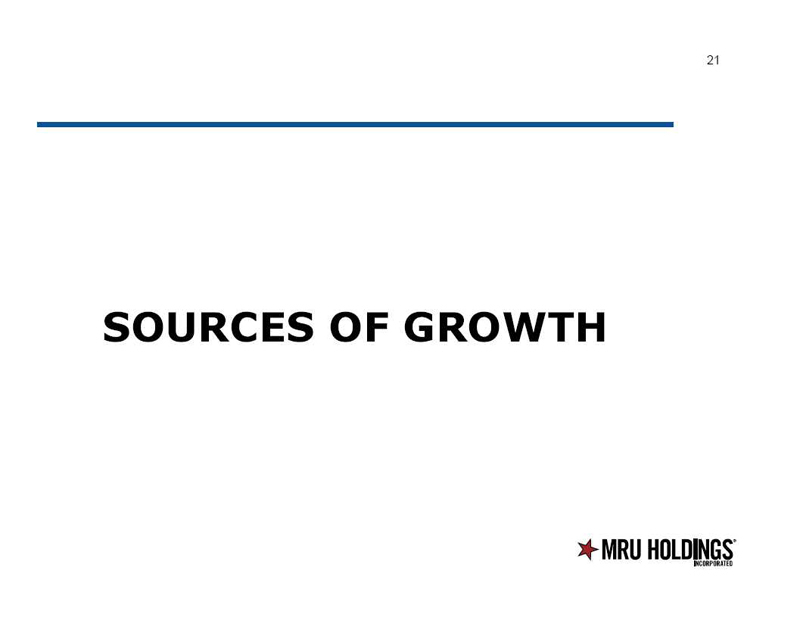 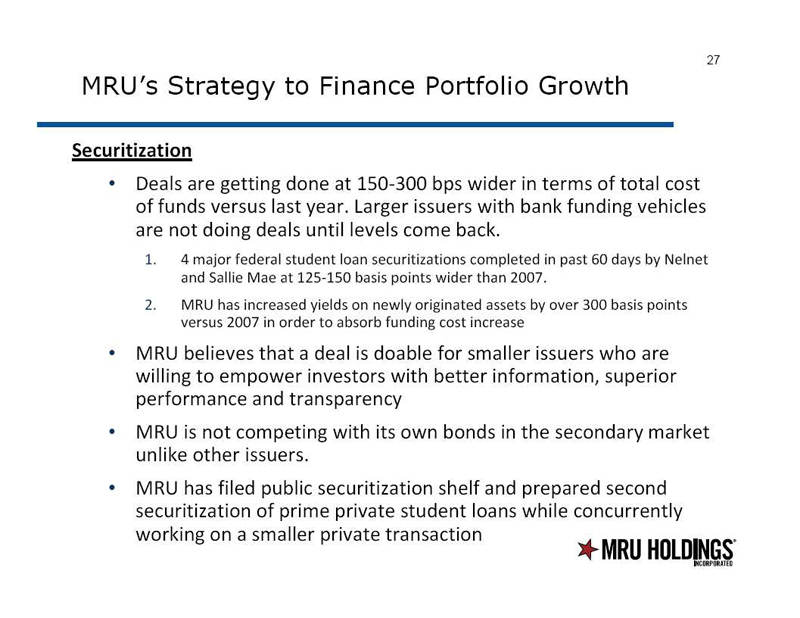 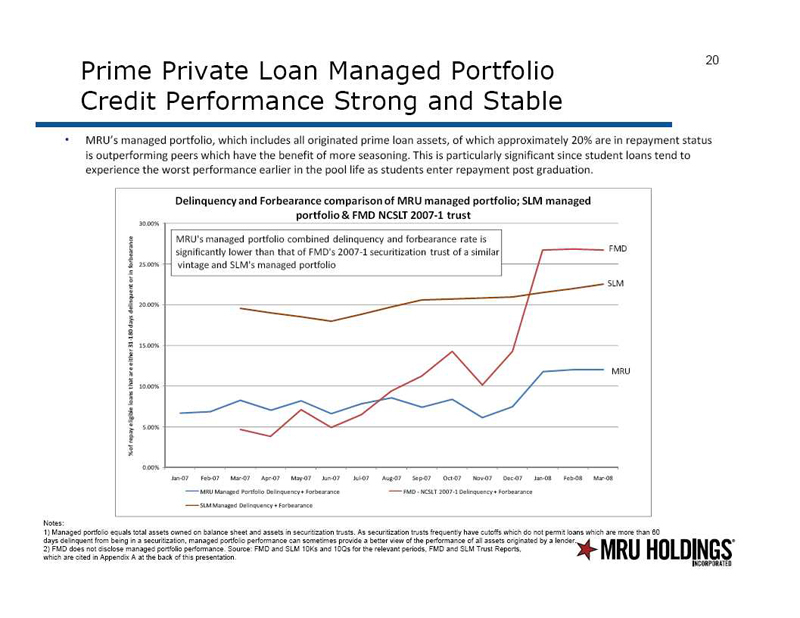 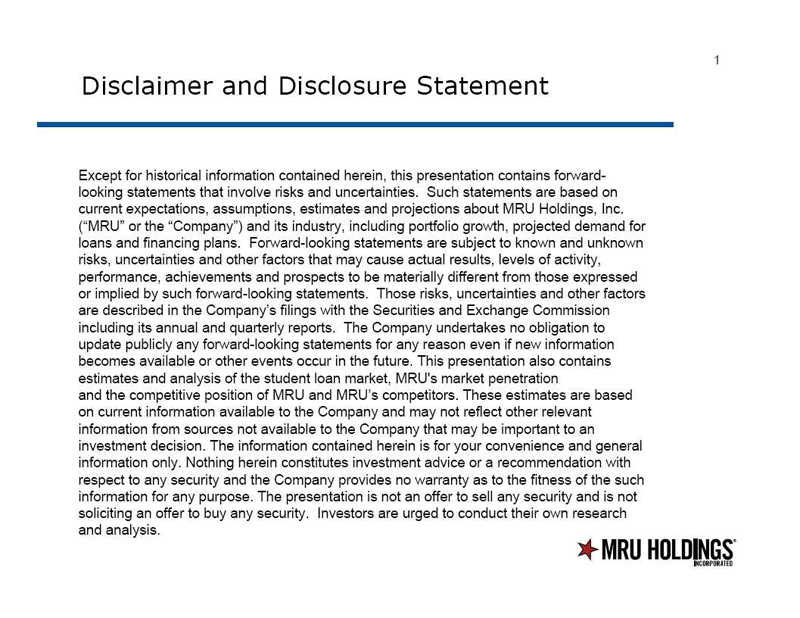 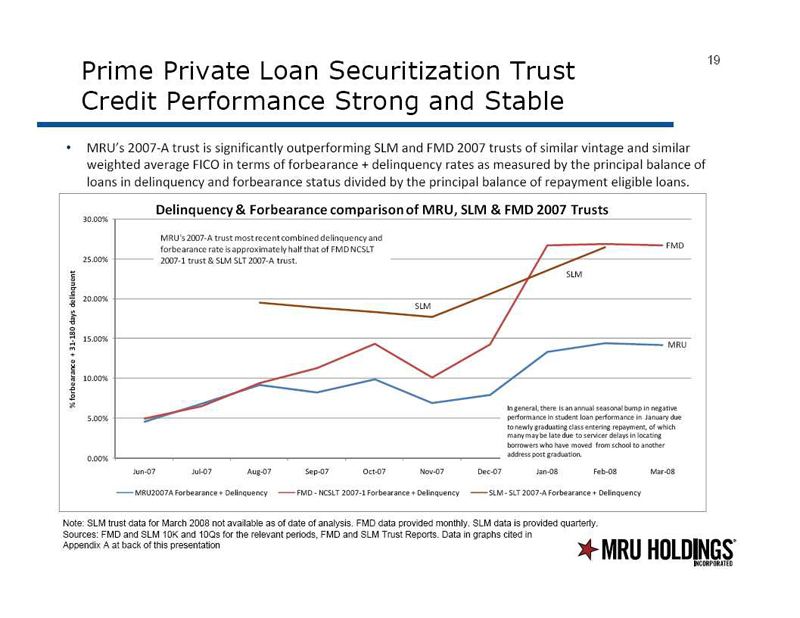 A copy of a slide presentation that MRU Holdings, Inc. (the “Company”) uses at investor conferences is attached to this Current Report on Form 8-K (“Current Report”) as Exhibit 99.1 and is incorporated herein solely for purposes of this Item 7.01 disclosure. 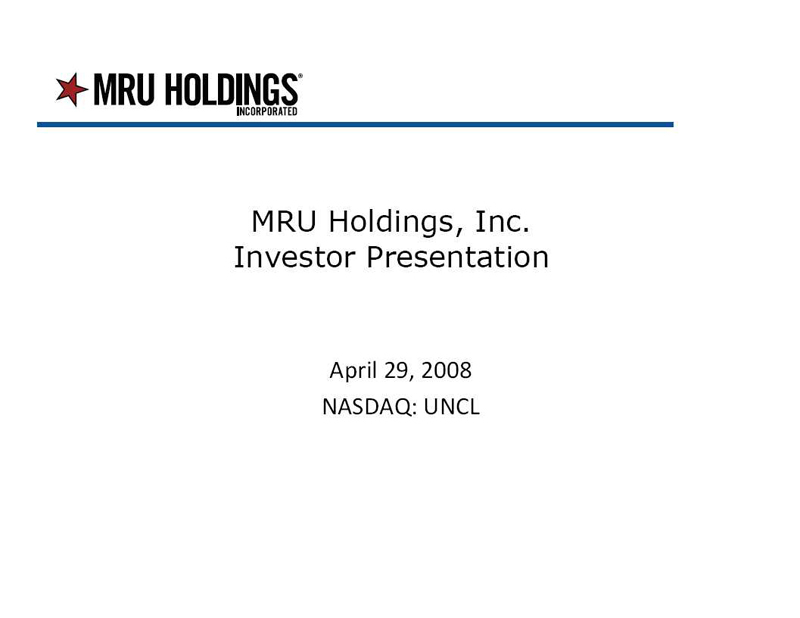 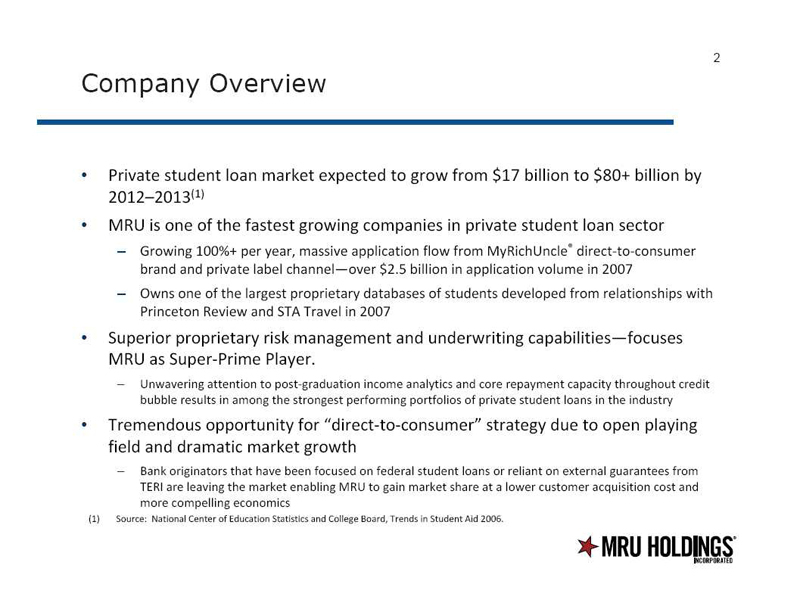 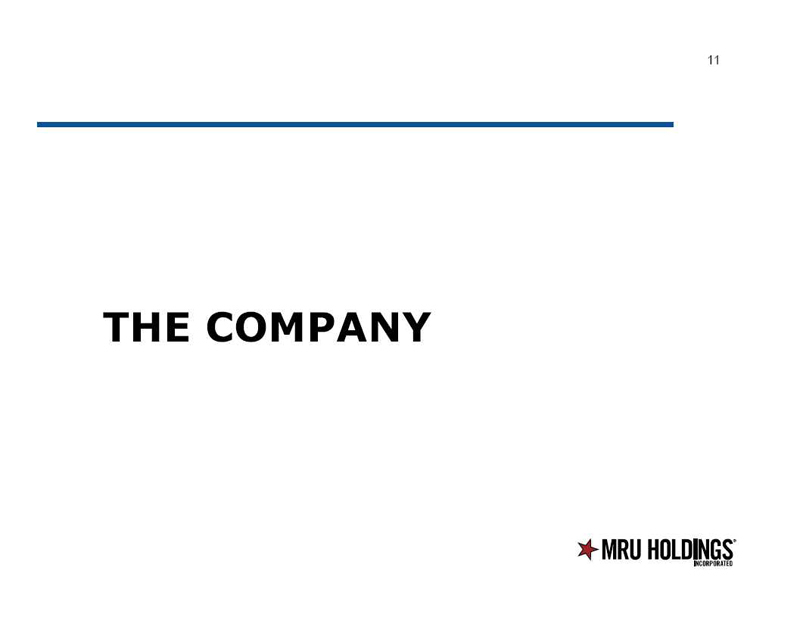 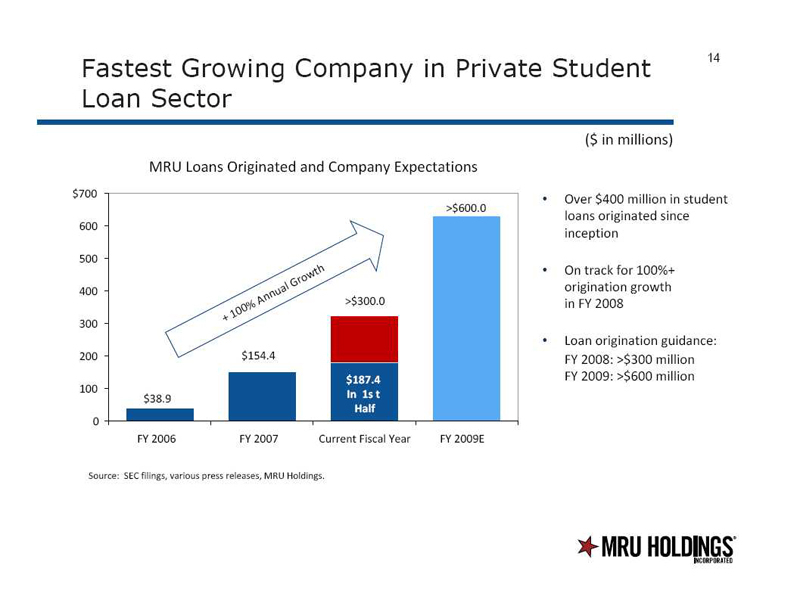 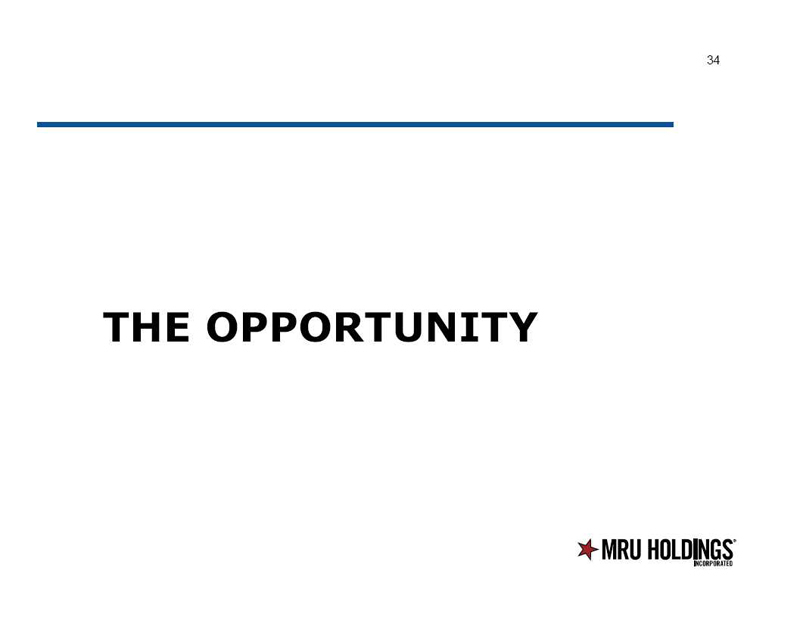 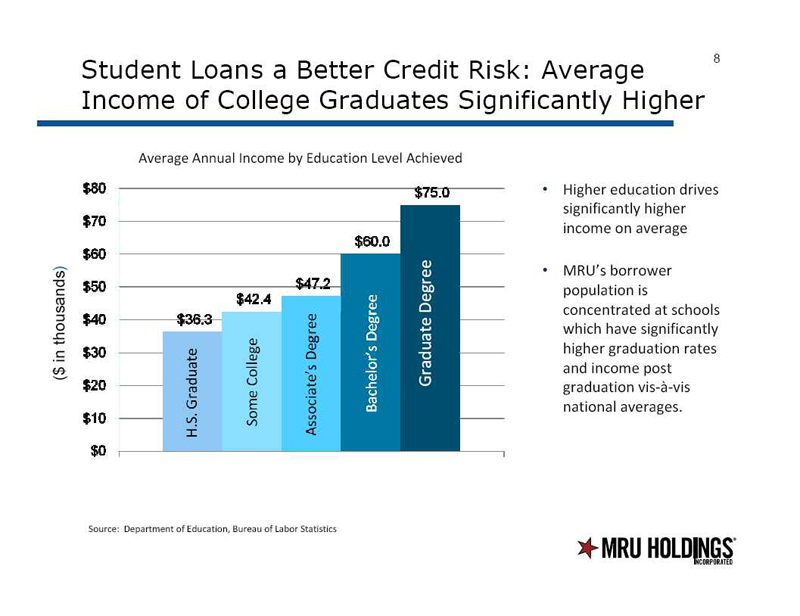 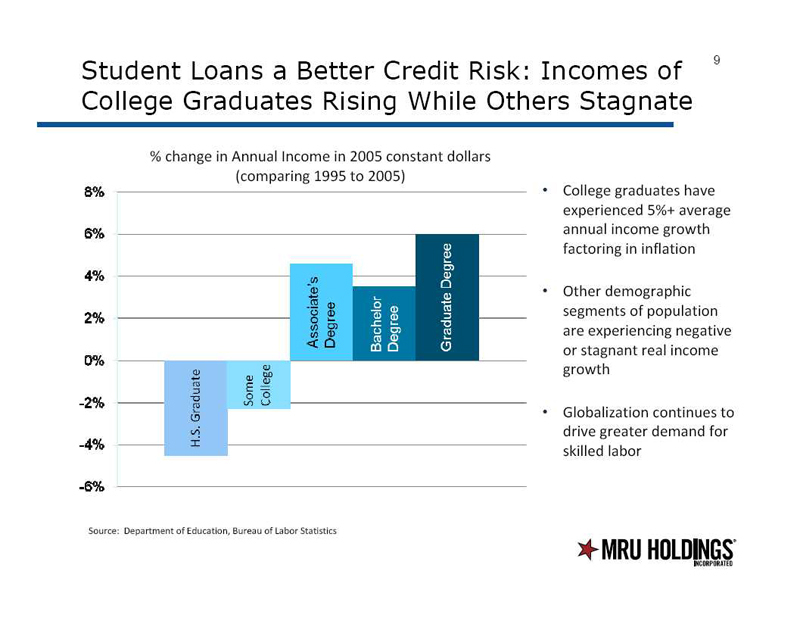 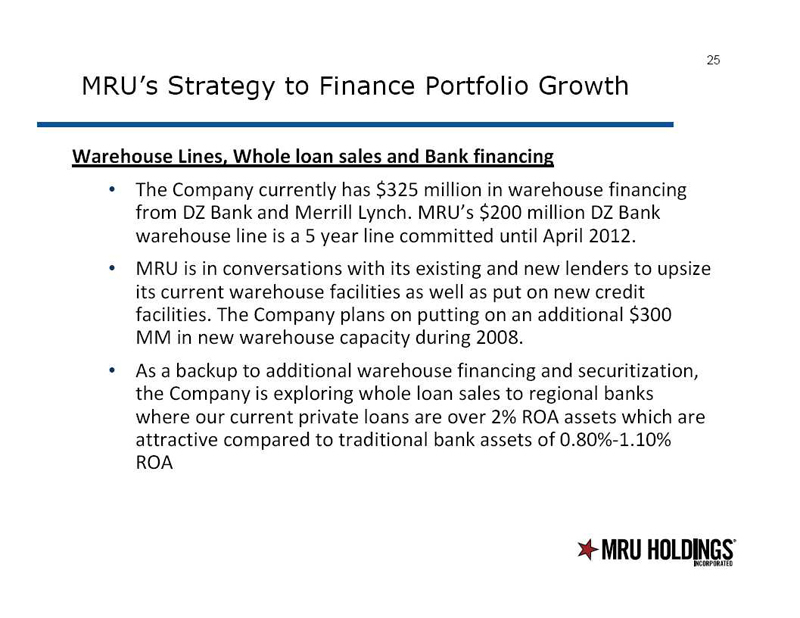 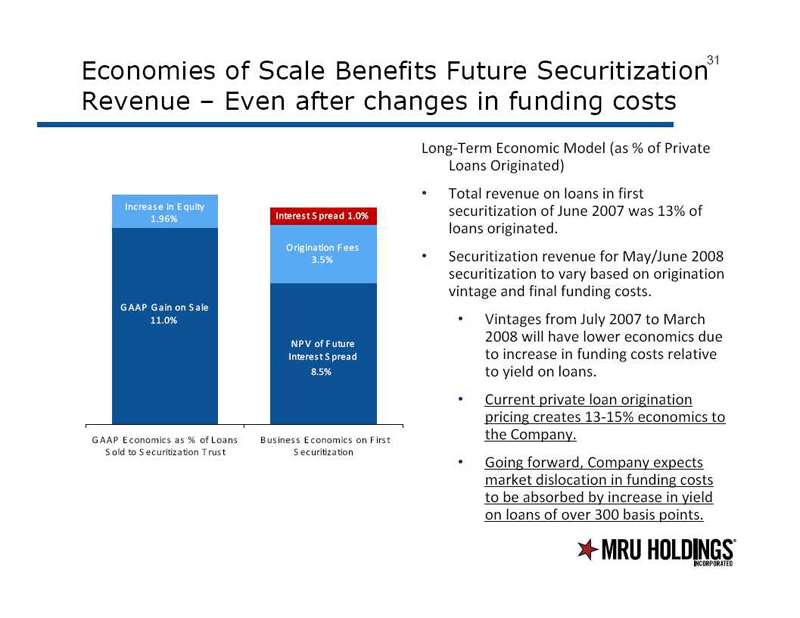 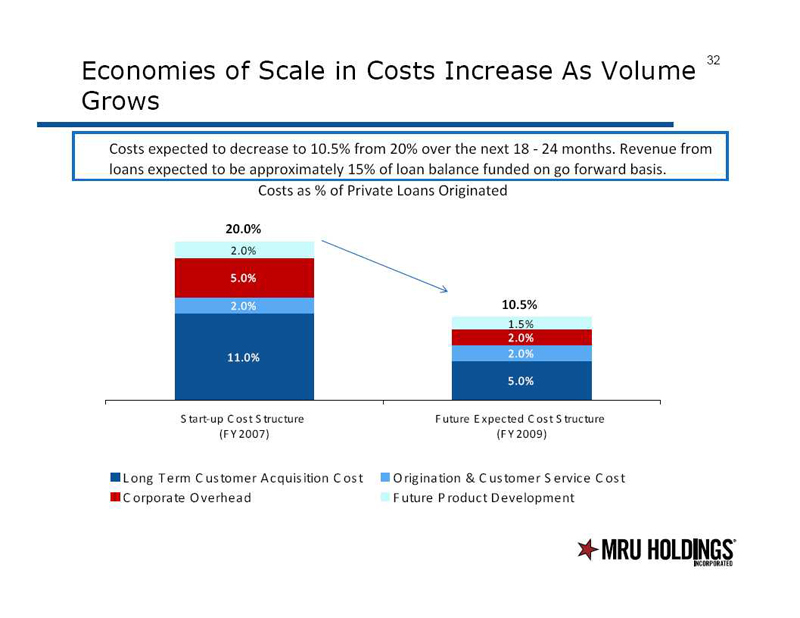 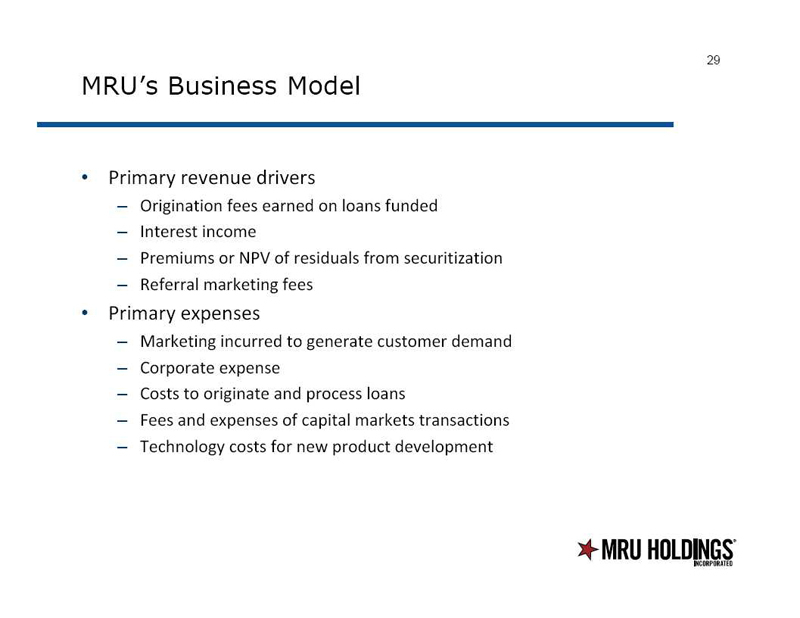 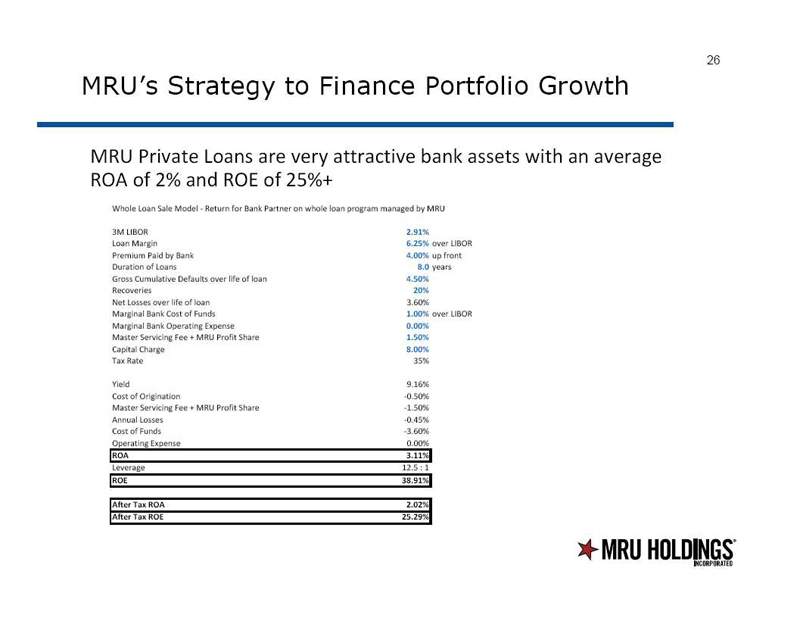 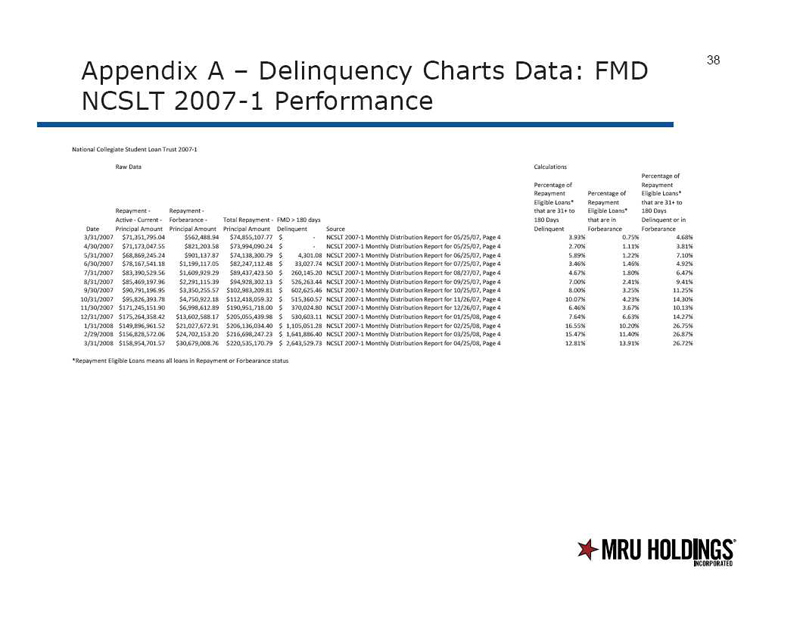 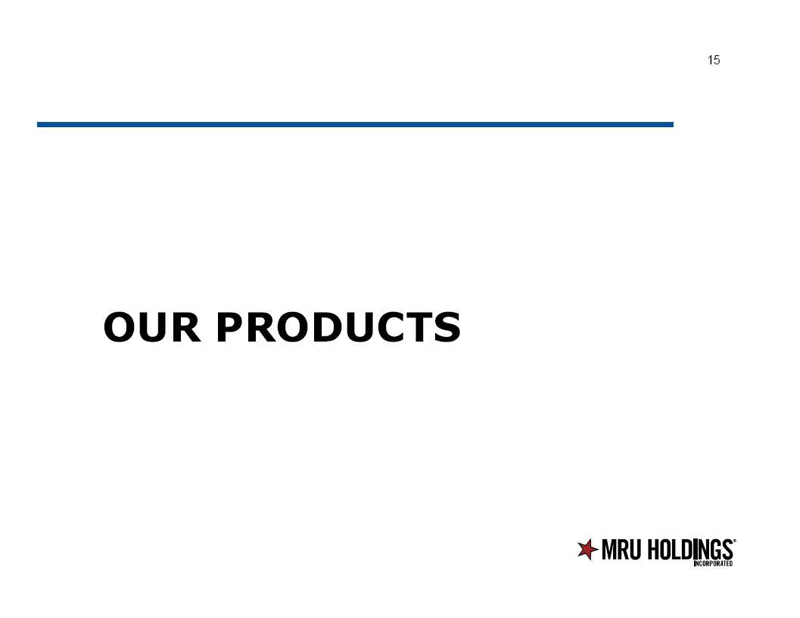 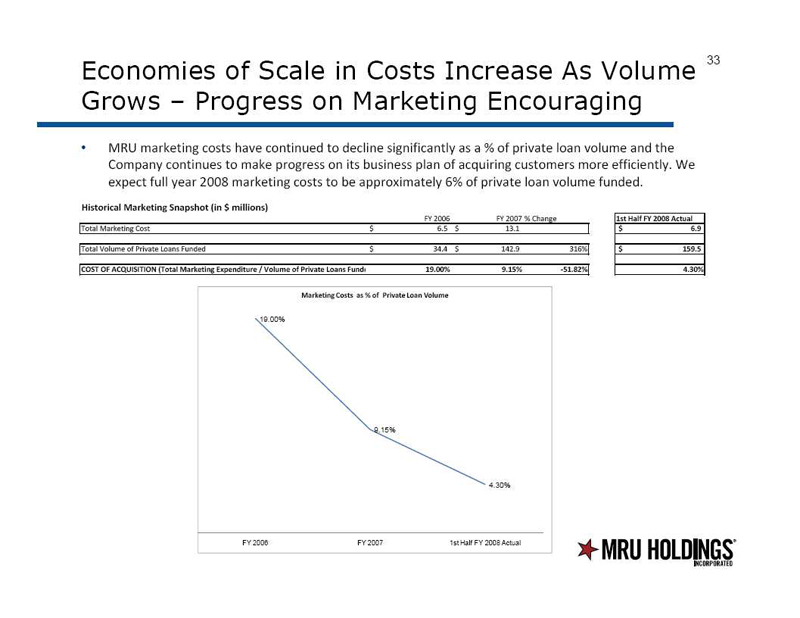 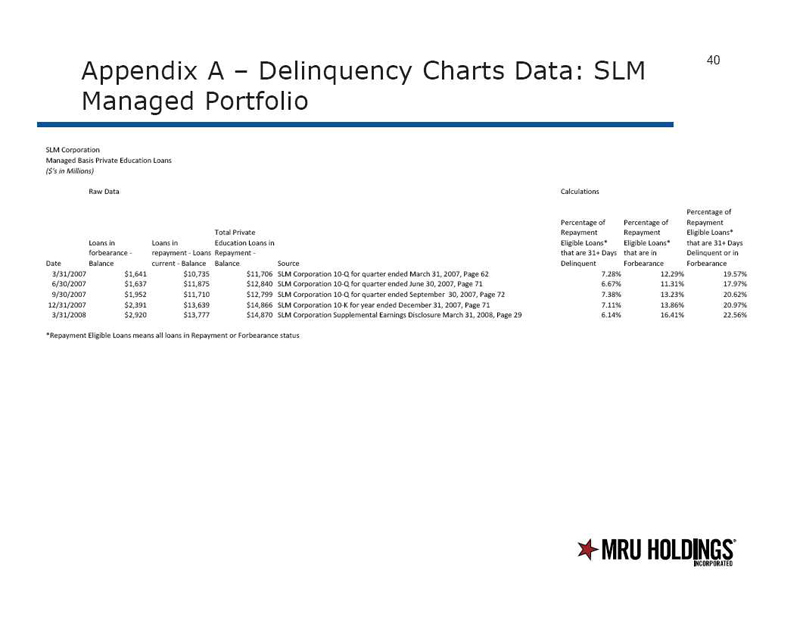 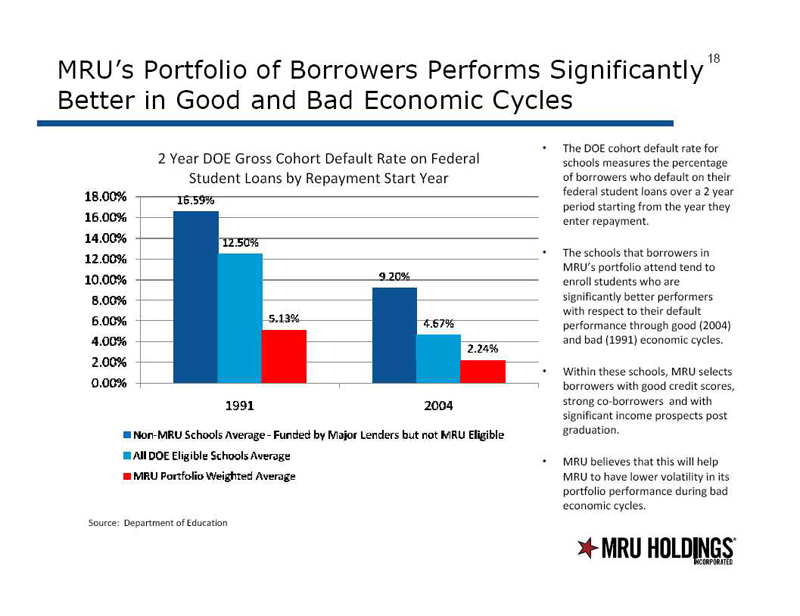 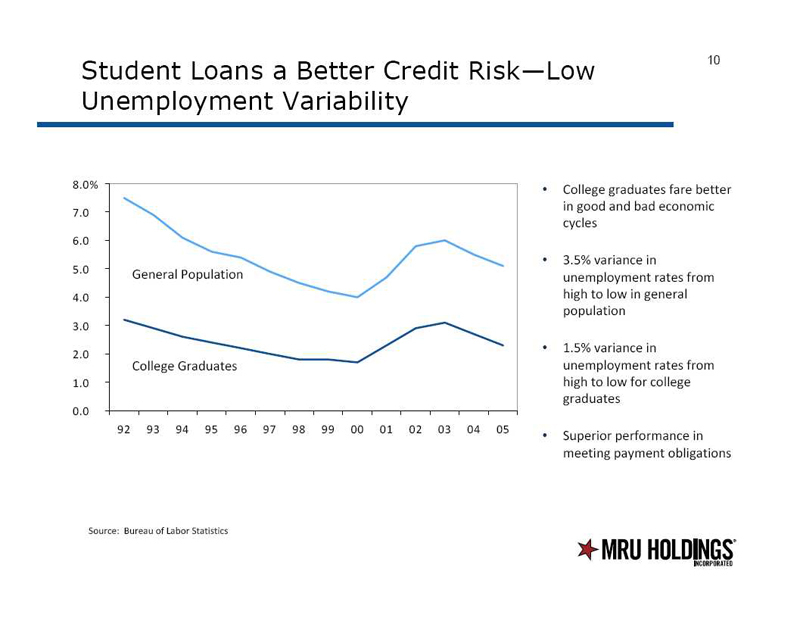 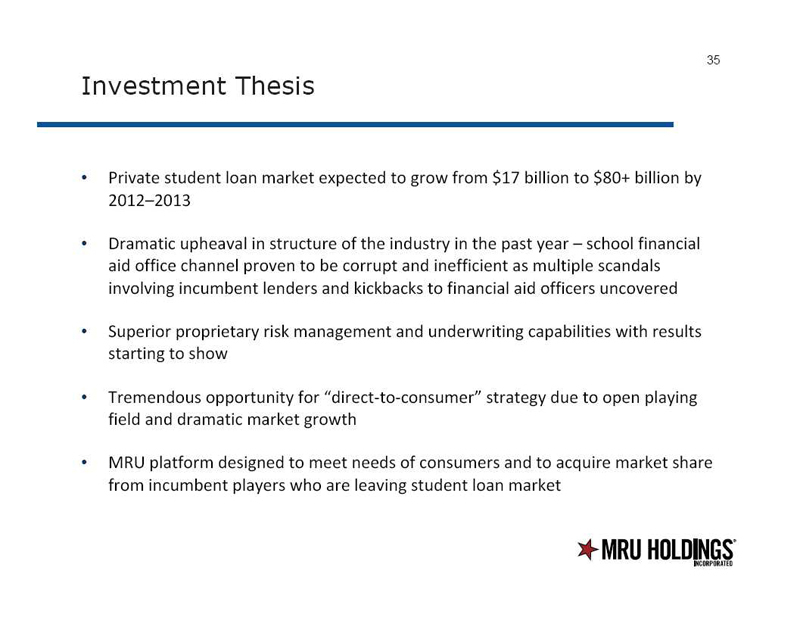 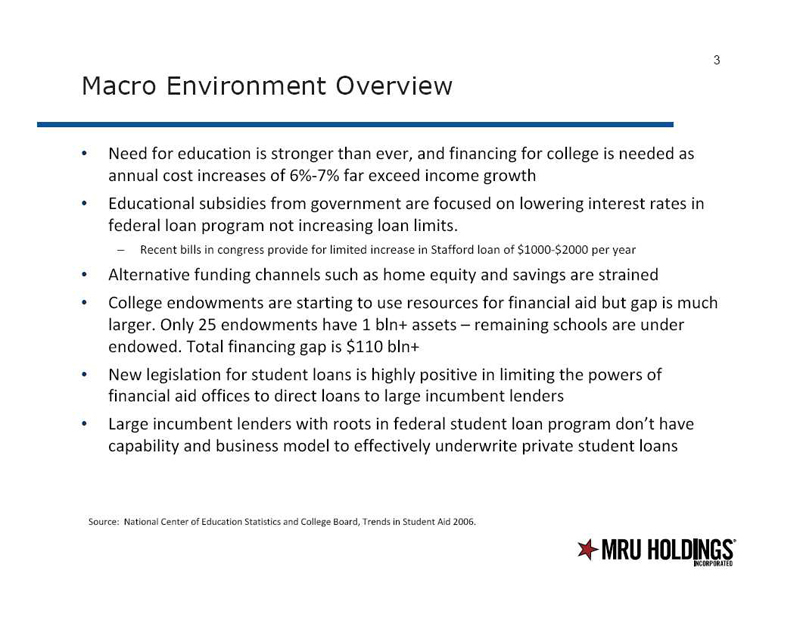 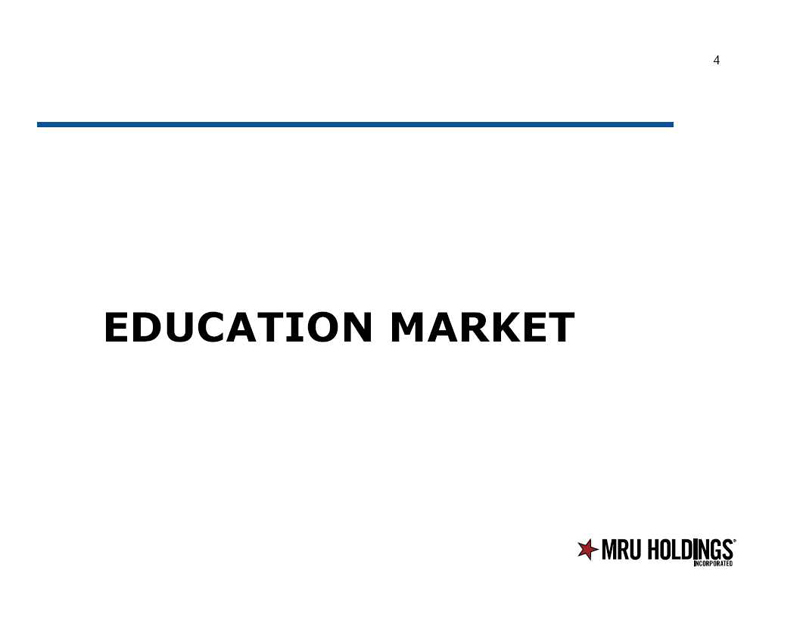 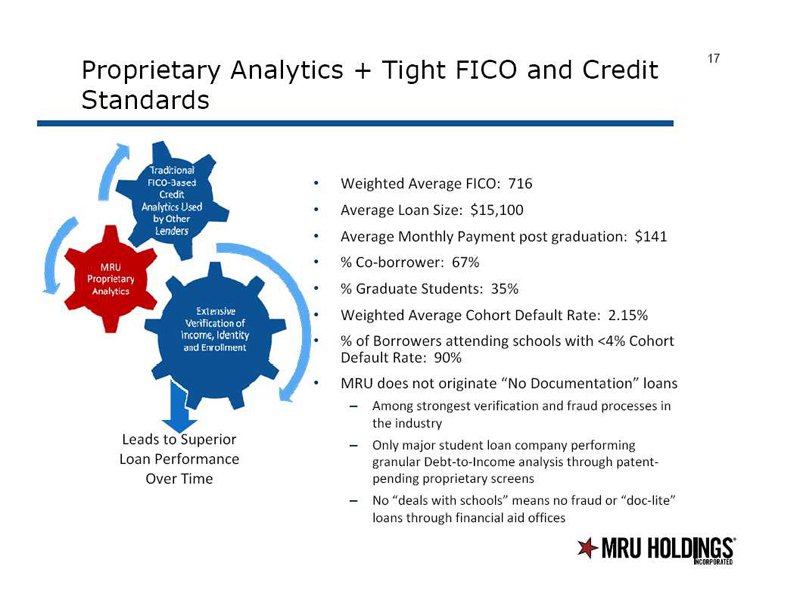 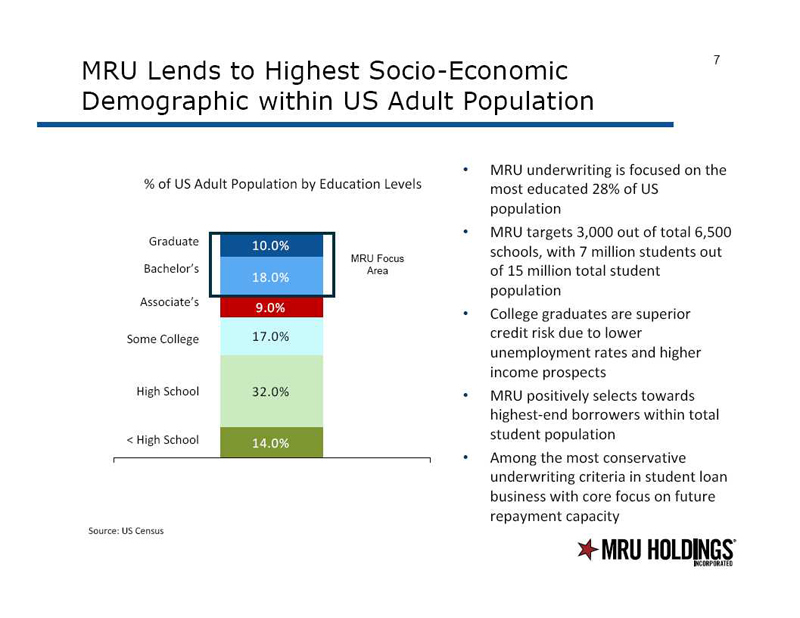 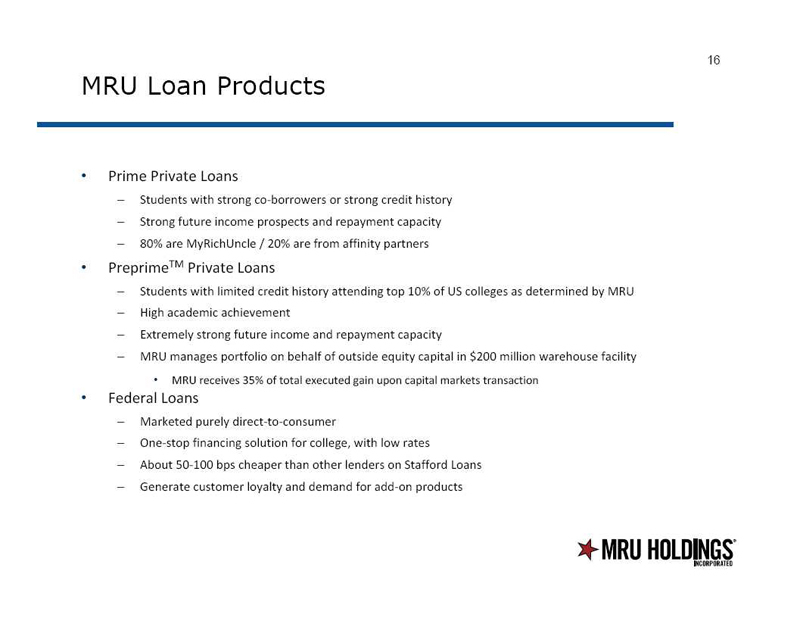 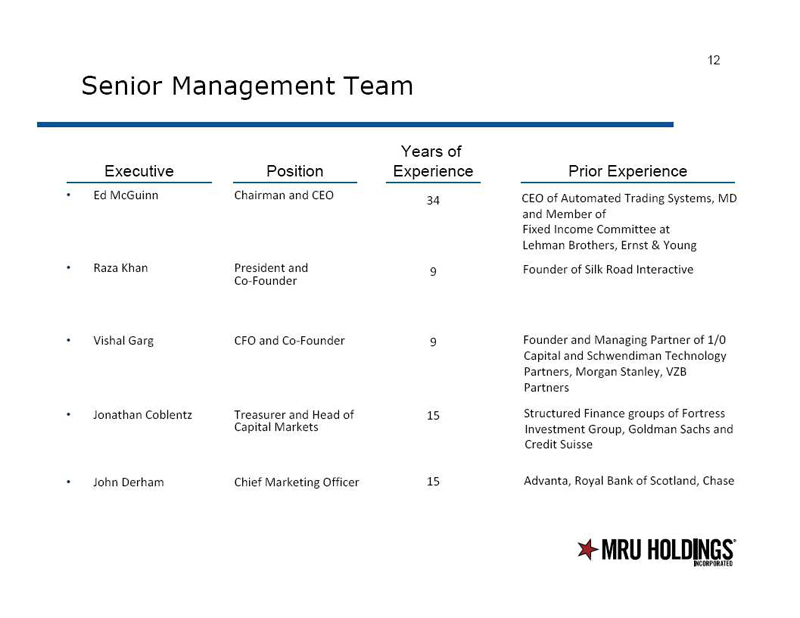 Additionally, the slide presentation will also be available on the Company’s website at www.mruholdings.com. 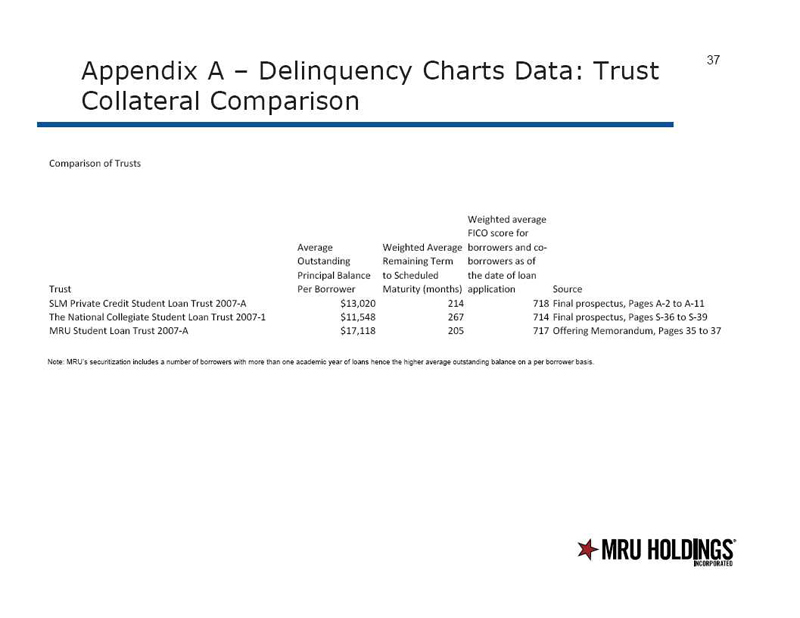 The information in this Current Report, including the exhibit attached hereto, is being furnished and shall not be deemed “filed” for purposes of Section 18 of the Securities Exchange Act of 1934, as amended (the “Exchange Act”), or otherwise subject to the liabilities of such section. 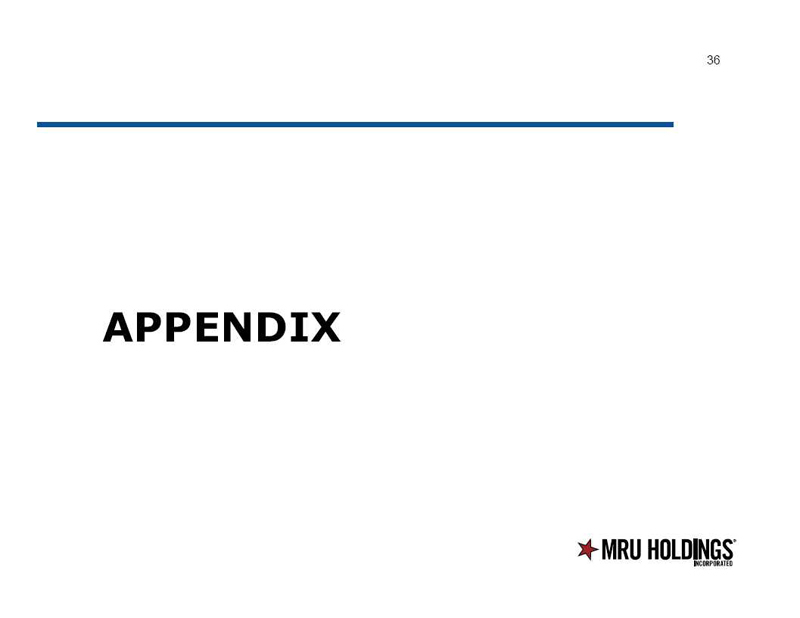 The information in this Current Report, including the exhibit, shall not be incorporated by reference into any filing under the Securities Act of 1933, as amended, or the Exchange Act, regardless of any general incorporation by reference language in any such filing.